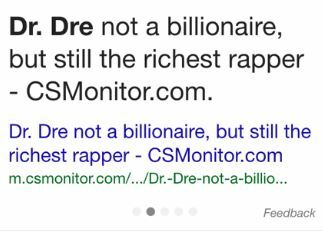 SEO Weekly Roundup: Google's Mobile-Friendly Ranking Factor? Tom Williams has been on the prowl for more SEO news. 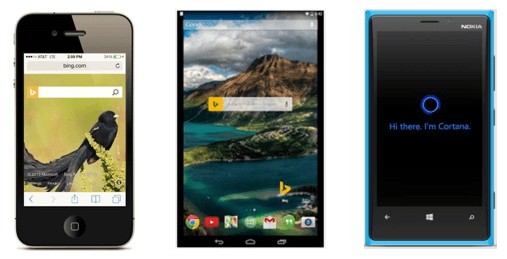 This week, there's more about Google's drive to improve mobile user experience, plus some more mobile-related musings from Bing, and some surprise visitors to Google's Knowledge Graph. 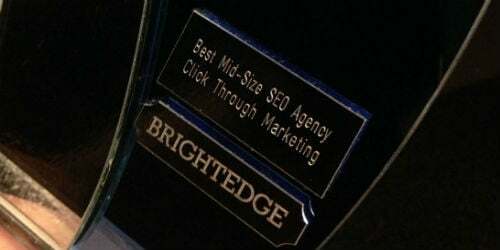 Want more SEO? Download your FREE white paper to learn everything you need to know about Google penalties – and how to recover lost rankings. There are plenty of good reasons to create a customer-friendly, search-friendly mobile website. And as of last week, there are two more – a 'mobile-friendly' label from Google, telling users about your wonderful mobile user experience, and the potential for a ranking boost in Google's mobile SERPs (search engine results pages). After months of testing, Google is rolling out 'mobile-friendly' labels on sites that it deems... well... mobile-friendly. These labels will be displayed to users in mobile SERPs. What's more, Google has said it is “experimenting with using the mobile-friendly criteria as a ranking signal”. We've already reported on speculation about ranking signals based on mobile user experience, as well as tests Google has carried out with 'mobile-unfriendly' icons in mobile SERPs. If the last headline gave you the jitters, then fear not – there's an easy way to test whether your site is worthy of Google's mobile-friendly label. 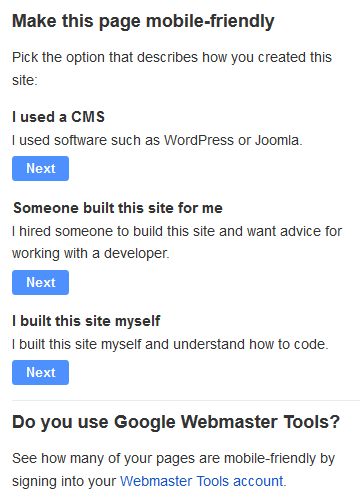 Simply go to http://www.google.com/webmasters/tools/mobile-friendly and try Google's new Mobile-Friendly Test. You'll be provided with an image showing how Google's spiders 'see' the page, so you can immediately check for missing/incorrect elements and make judgements about where you can improve. Our site was deemed 'mobile-friendly' (of course!). 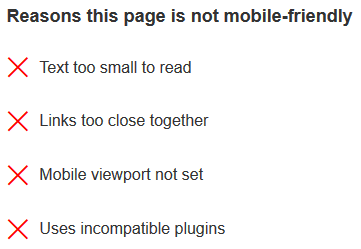 Oh, and Google will tell you outright whether your site is mobile-friendly or otherwise too. That's handy. If you get a 'mobile-unfriendly' grade, the tool will tell you what you're doing wrong, and provides links to guidelines to help you bring your site up to speed. 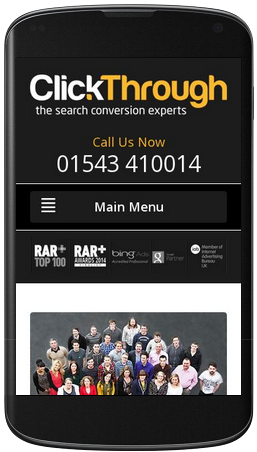 Want to examine your mobile site in more depth? Use our free Responsive Site Checker tool! Scrollable Google Answers Coming to Mobile SERPs? Thought we'd finished with mobile news? Think again. Google has saved all its mobile-related newsbits for the last seven days, it seems. 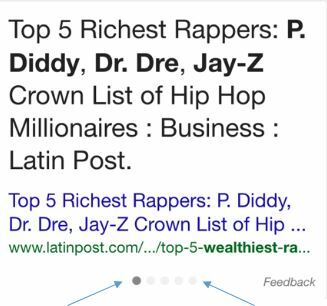 Presumably in an attempt to make its own search results as mobile-friendly as possible, Google is testing a new kind of 'scrollable' answer box in mobile SERPs. 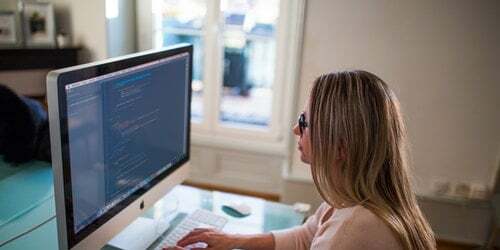 The answer box, if you're unfamiliar with the term, is the card at the top of certain search results that pulls in answers from third-party websites in an effort to answer a query. From a user-experience point of view, it makes sense that this feature is being tested on mobile. But might there be other reasons behind it, beyond making things better for smartphone users? Is Google worried about issues with accountability that could arise by providing a single 'canonical' result? Actually, to be fair to Bing, it announced its new mobile crawlers before Google went live with its mobile-friendly labels. But after a big week of Google mobile news, it seems a little too coincidental for Microsoft's search engine to publish a blog post further outlining its mobile-focussed attitude. Nevertheless, there's plenty of good stuff in that post. From an SEO point of view, the biggest revelation is a section outlining how Bing ranks mobile websites. This is an undoubtedly simplified version of Bing's mobile ranking process – the blog post itself says that there's some hush-hush techniques going on behind the scenes (or, to quote the post verbatim, some “Secret Squirrel stuff”). Nonetheless, it's provides a useful glimpse into Bing's way of doing things. A few years ago, Google got grumblers a-grumbling by deciding to show only Google+ posts alongside Knowledge Graph Results. For example, if a user searches 'Lady Gaga', they would only see her Google+ activity in Knowledge Graph – if she was posting to her Facebook page, they'd have to go to Facebook to find out. But last Tuesday, things changed. Journalist Bernd Rubel spotted that other social networks were appearing alongside celebrities' Knowledge Graph Results. 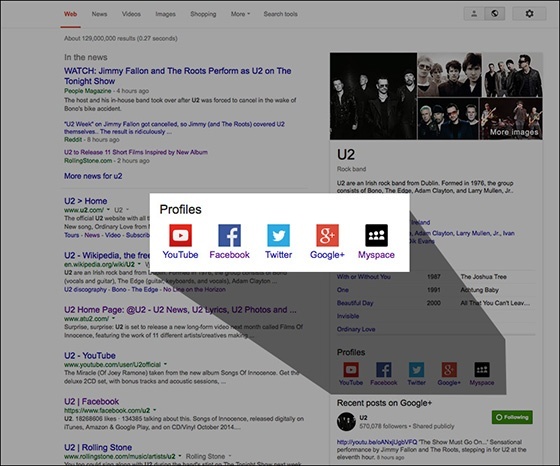 Here's an example of search results for the band U2, with Myspace, Twitter and Facebook appearing alongside the Google-owned YouTube and Google+. Whether this is a test, or a permanent change, it seems to signal that Google may be winding down its Google+-centric attitude to search. 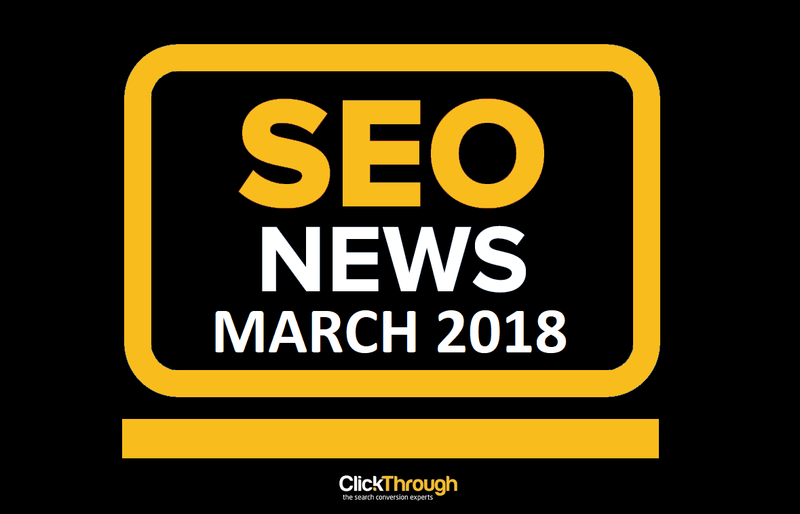 Read last week's SEO news roundup.